Tilapia is an African fish which has been trans-located to Asia and Latin America over the last fifty years because it is tasty and because of its good farming potential. Farmed Tilapia took off in Latin America fifteen years ago, supplying North America with fresh fillets. Tilapia is also produced in Asia, where most of it is consumed by the local markets. There are currently only three suppliers of fresh Tilapia products to the European Union: Lake Harvest, wild-caught from Uganda and Jamaican Tilapia. Prices are strong for fresh Lake Harvest Tilapia in Europe, currently being over EUR 6.50 per kilogram of fillets. However, this strong pricing is due in part to the limited supply base and it is expected that as production grows, the prices will decrease. It is envisaged that the PSOM pilot project will sell its farmed fish through Greenfields, on a cost plus basis, to Lake Harvest International (based in Luxemburg). Currently, demand exceeds supply. The market is expected to grow to 5,000 tons per annum of fresh fillets from the current total supply of seven hundred tons per annum. This growth will be achieved through new supply lines of fresh fillets from Latin America and Africa. The Source of the Nile project is divided into two phases. During the first phase a joint venture will be formed: Source of the Nile Ltd. Although the maximum production capacity is approximately 180 tons per annum, the pilot will produce fifty tons per annum of Tilapia by the end of the project using twelve brood stock holding (30mx30mx1m), five fry production ponds (15mx15mx1m), five fry holding ponds (15mx15mx1m) and 10 juvenile ponds (half a hectare each). Part of the juvenile ponds will be used as production ponds during the first part of the project (the production ponds will be constructed after the pilot project is finalised). Fish feed will be retrieved from local production. In addition, the project will use twenty hectares of wetlands as a bio-filter for the fish project. During the first year, the grow-out earth ponds will initially be used as additional hatcheries. In the second phase, the project is expected to expand to 2,000 tons per annum of Tilapia using two hundred hectares of water surface. Break even Tilapia production is around 1,500 tons per annum for a stand-alone farm which does not have to carry processing overhead. Result 5: Start of production, bankable business plan and finalisation of project. The project will create thirty jobs during the project and will expand to 250 employees after the pilot when production reaches 2,000 tons per year. Source of the Nile will implement good health and safety practices at work. The applicant is a Zimbabwean company investing in Uganda. Approximately EUR 850,000. The PSOM contribution is limited to 60 percent of the budget. S.O.N Fish Farm has undergone some delay due to manual excavation of the earth ponds. Management has chosen to construct the ponds by manual labour as labour was readily available and the quality of the ponds is much higher. 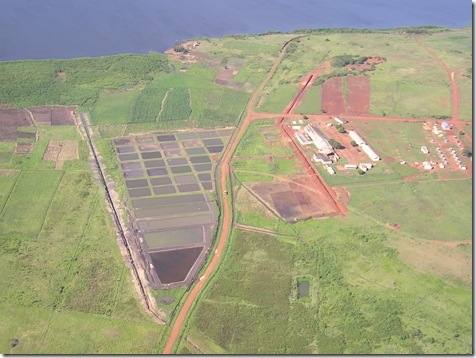 The fish farm is now producing its own feed for its own production and expects to finalize the PSOM pilot phase in September 2008.